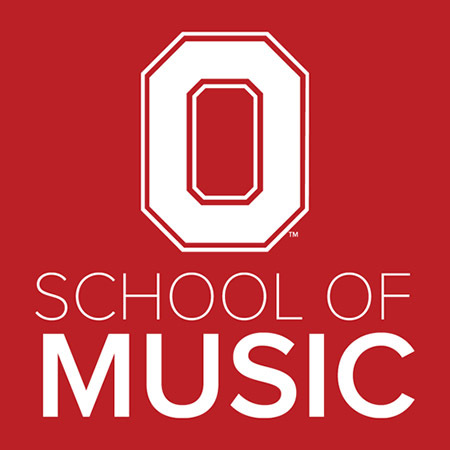 The Ohio State University School of Music educates students for professional careers in composition, performance, scholarship and teaching. As an integral part of a major public university with a strong commitment to teaching, research and service, the school recognizes the relationship that binds music to other academic and artistic disciplines. The school aims to provide, at the highest level, instruction in the study and practice of music and, in so doing, to promote an awareness of music as a humanistic study. The school encourages musical research in all its dimensions by providing students and faculty opportunities for performance, creative activity and scholarly inquiry. The school is dedicated to sustaining and advancing musical culture in the academy and in the society at large, and it endeavors to meet service obligations to various communities within and beyond the university. Recognizing the dynamic and evolving character of music in contemporary life, the school acknowledges an ongoing responsibility to evaluate its programs and procedures, and to investigate fresh approaches to the realization of its mission. In keeping with the university’s broader mission, the school is committed to nurturing the best of Ohio’s students, while maintaining excellence and diversity by recruiting nationally and internationally. The school recognizes the relationship that binds music to other academic and artistic disciplines and provides students with a comprehensive education, preparing them for professional careers in composition, performance, scholarship, and teaching. The Career Counseling and Support Services website lists links to relevant, on and off campus, career resources to assist all OSU students in their career decision making processes. Our Career Development Center offers support in choosing the right major, marketing yourself, interviewing, and job and graduate-school prep. Services are also available for alumni. The RCM offers its students unparalleled performance opportunities with more than 500 events held each year. RCM professors represent the best international talent; our outstanding undergraduate teaching was rated gold in the 2017 Teaching Excellence Framework. We are dedicated to preparing you for life after graduation; in a Higher Education Agency survey of 2017 graduates, 100% of respondents had moved into employment or further study six months after graduating. 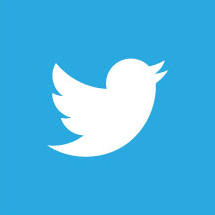 The RCM has a 130 year long heritage but we also seek to be leaders in digital innovation. We will help you to become the musicians of the future. The Royal College of Music (RCM) is one of the world's greatest conservatoires. Ranked the top institution for performing arts in the U.K. and second in the world (QS World University Rankings 2018), we welcome staff and students from all over the world bringing exceptional talent, creativity, and inspiration. The RCM is a world leader in career development for musicians. Our dedicated Creative Careers Center will guide you through a range of opportunities that mirror the professional world. You can use these services from day one of your course to develop an outstanding CV and wealth of experience that will help shape your future career; the Creative Careers Center provides advice and services to RCM alumni for five years after graduation. To provide advanced, post-graduate orchestral training to young musicians at the highest level of technique and musicianship. 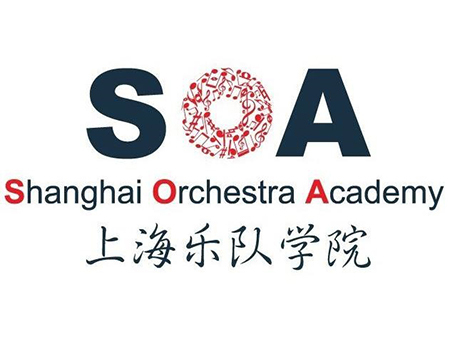 The Shanghai Orchestra Academy (SOA) is the result of a partnership among the Shanghai Symphony Orchestra, New York Philharmonic, and Shanghai Conservatory of Music. The SOA provides rigorous training at the Master's degree level for talented instrumentalists. An integral part of the SOA curriculum is practical training with professional orchestras. Students gain first-hand experience learning from and playing with New York Philharmonic musicians as well as performing with the Shanghai Symphony Orchestra. Other international partners have since offered practical training opportunities to SOA students, among them the NDR Elbphilharmonie Orchestra, Sydney Symphony Orchestra, Singapore Symphony Orchestra, Hong Kong Philharmonic Orchestra, Taiwan Philharmonic, China Philharmonic Orchestra, Guangzhou Symphony Orchestra, and Hangzhou Philharmonic. We successfully integrate academic studies with performance. A wide-ranging curriculum covers not only European music history and contemporary composition, but also American vernacular musics and courses on musical practices from many other parts of the world. These are complemented by an array of performance courses and opportunities. The graduate program includes programs in omposition, Western music history, and ethnomusicology. At the UCLA Herb Alpert School of Music, there are no musical boundaries. Rigorous classical training intersects with open-minded exploration of the contemporary musical landscape. Performances from musical traditions spanning the globe are complemented by critical analysis and scholarship that place the music in historical and cultural contexts. A faculty of internationally-renowned performers and leading scholars combines expertise and experience with accessibility and a commitment to students. The School of Music is integrated into UCLA, one of the top research universities in the country, and Los Angeles, a global cultural hub, providing students with unparalleled artistic, academic, and social opportunities. The UCLA Herb Alpert School of Music offers performance, scholarship, and innovation, all in one place. Combining outstanding departments of Ethnomusicology, Music, and Musicology, we provide academic opportunities that balance cutting- edge scholarship with performance mastery and composition. Students are encouraged to explore music in all its contemporary and historical diversity. The UCLA Career Center is one of the largest and most comprehensive career centers in the nation. It offers a wide range of services that help students develop clarity about professional interests; provides students with the knowledge, skills, resources, and experience necessary to pursue professional goals with confidence and self-assurance; and facilitates connections between students and employers, alumni, and graduate school representatives. The Career Center, in collaboration with the School of Music faculty and staff, meets the unique needs of our students by providing programs and counseling services specific to careers in the arts. The mission of the School of Music is to advance the art of music and its related disciplines. It seeks to educate students in the various fields of the profession and to promote an understanding of music on the campus and in the larger community. The School endeavors to preserve diverse repertories and cultural traditions while also creating opportunities for artistic, intellectual, technological, and scholarly innovation in the realm of music. The School is dedicated to excellence in research, performance, composition, and teacher education, undertaken in a spirit of collaboration among its own constituents, as well as with those of the College of Fine and Applied Arts and the University at large. Beautiful facilities including the Krannert Center for the Performing Arts; inclusive community with supportive faculty; individual attention for students; diverse Big 10 campus with wide-ranging performance and research opportunities. The School of Music and the College of Fine + Applied Arts are dedicated to preparing students for successful careers. Courses in cover letter and résumé writing are offered. The Career Services Office provides workshops, job fairs, hands-on sessions, career planning, and individual appointments for professional feedback. The Career Services' Mentoring Program helps juniors, seniors, and grad students establish connections and explore career paths through informational online conversations, interviews, and job shadowing. The School of Music hosts a number of entrepreneurship events each year to help students develop important business and marketing skills. The Department of Music and Dance provides a comprehensive education through a combination of established and innovative pedagogical approaches. The faculty works cooperatively, focusing on students and inspiring them to realize their full artistic potential while equipping them with skills to succeed in today's world. The Department is also committed to distinguishing itself regionally, nationally, and internationally through the creative activity and scholarship of its faculty. Serving as a cultural ambassador for music and dance, the Department maintains visibility through broad course offerings, public appearances, and outreach activities within the University and the community at large. UMass Amherst offers conservatory quality education in a university setting. Intensive yet supportive, the music program has a variety of concentrations as well as nationally and internationally renowned faculty dedicated to educating students. A top research university, UMass also enables other majors to be involved musically. The UNCSA School of Music offers a transformative conservatory experience that combines intensive individual study under resident artist-mentors who are active performers. 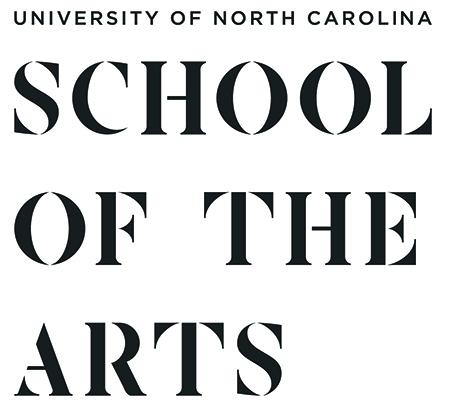 Additionally, it provides more than 200 recital, concert, and opera performance opportunities annually, including collaborations with other UNCSA arts schools (dance, drama, film, and design & production). The Office of Career Development provides students with a central resource for assistance with their career planning. It is designed to work hand-in- hand with the arts schools (School of Music in this case) in supplementing career preparation training for students. UNCSA students participate in career development seminars as part of their curriculum. To provide a comprehensive program of undergraduate and graduate education that promotes the highest levels of professional development while challenging students to achieve their greatest potential; To cultivate an environment that inspires creativity, stimulates intellectual curiosity, and fosters critical thinking; and to serve the University community, the public, and the profession through performance, composition, scholarship, music education and outreach. The University of Wisconsin-Madison is world- renowned as one of the top 10 public universities in the country, and the intimate School of Music is ranked in the top 10 percent of comprehensive music programs. The College of Letters & Science is committed to preparing undergraduates for satisfying and rewarding careers. Wisconsin's advantage for implementing this career development effort is the alignment among students, faculty, staff, administrators, alumni, and employers. The initiative will become the leading platform across the nation for undergraduate personal and career development among public research institutions. Westminster Choir College is a professional college of music with a unique choral emphasis that prepares undergraduate and graduate students for careers in performance, teaching, sacred music, and composition. In an atmosphere that encourages personal and musical growth and nurtures leadership qualities, Westminster Choir College complements professional training in music with studies in the liberal arts. Founded for Christian service, Westminster Choir College was a pioneer in establishing the highest standards in choral performance and church music. Today, the curriculum teaches pluralism and holds service through music to be ennobling, liberating, and integral to a rewarding and productive life. Westminster is renowned for its outstanding choral and vocal studies program that includes eight ensembles performing a broad range of repertoire, two staged opera productions, and many other performance opportunities from orchestral performances in major concert halls to intimate recitals on and off-campus. 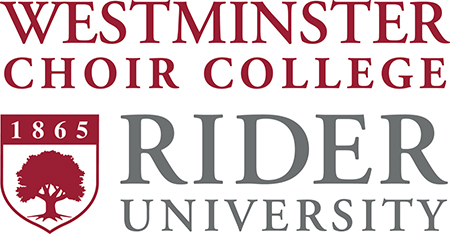 All students at Westminster Choir College have access to the resources and assistance offered through the Career Services department at Rider University. Students are also encouraged by their teachers and advisors to explore opportunities in Young Arts Programs and internships, both at Westminster and around the world.